As well as new membership benefits and advertising opportunities. Aliso Viejo, CA- September 17, 2018: The GoPlayPool App has reached its 6th year in the industry. Owners, Ramin Bakhtiari and Mary Ann Starkey, would like to thank family, friends, and their many supporters. “Without everyone’s patience and support, we wouldn’t have made it this far.” The system, as a whole, is more organized and inclusive than ever before. In the last year, the directory of pool rooms has made a change by including more information about the establishments available to users. Each listing now includes basic information when available. Table types, sizes and counts, tournament and league availability are part of our basic listings. The GoPlayPool App is focused on the future of pool, so we also include age limits in our basic listings. We want to let our users know where junior players can practice, play and compete. GoPlayPool App Member Rooms can also post food and drink menus, entertainment, special events and much more. GoPlayPool App users can also add, edit or delete pool rooms and their information directly through the free GoPlayPool App or the GoPlayPool website. This has created a user-based directory, which some have said is like a ‘pool version of Yelp’. It’s now easier than ever for pool room owners and managers to become members of the GoPlayPool App, which includes monthly and yearly memberships. When pool rooms become members, they receive multiple benefits, which include a more descriptive listing and profile. These profiles contain everything from specific tournament and league information, coupons and discounts for users through our GoDeal$ Program, as well as push notifications to let GoPlayPool App users know about upcoming events in member rooms. And last but not least, members become part of the “Featured Listings” on the system. The GoPlayPool App also contains an extensive flyer section, where pool rooms can post their event flyers for free. For those who are interested in posting flyers, it’s recommended to do so at least a month before the event to get as much exposure as possible. If you already have the GoPlayPool App installed on your devices, it is recommended that you re-install the app to make sure the new features are updated. As always, there are no pop-up advertisements and users are not required to login to use the GoPlayPool App or website. For GoPlayPool App users, Mary Ann Starkey wants to remind them to “keep the notifications turned on so you can get updates and notifications about upcoming events. 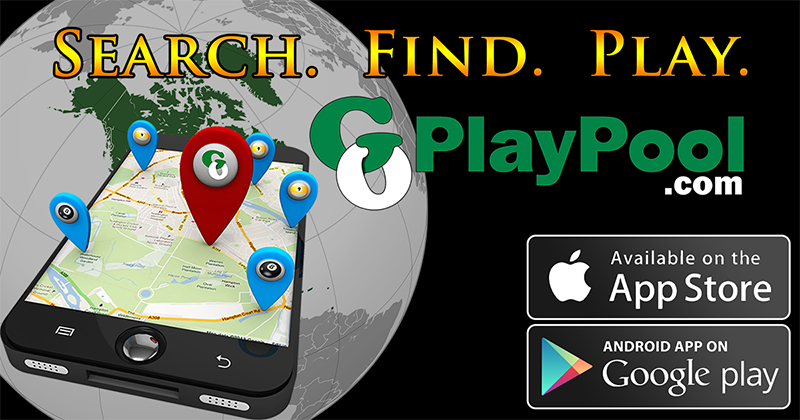 The GoPlayPool App is available on both Android and Apple devices. It is 100% free to download and use. Visit www.GoPlayPool.com to learn more about the available features or to become a GoPlayPool App Member location.